What's the actual size of your 2" filters in "mm" with and without frame/ring? What step down adapter is suggested from a 52 mm to "-- mm"? 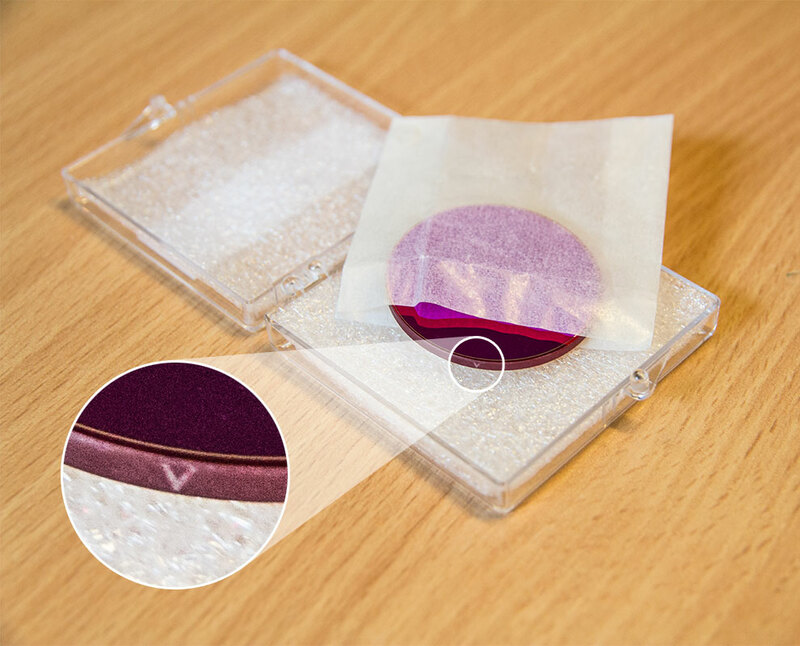 Our largest cell mounted filters measure 2" (50.8mm) in mechanical diameter (having a metric thread of M48). The optical clear aperture is 46 mm. In order to ease the adaptation of our 2" filters onto most camera lenses, we do produce a 2" filter-holder, to convert from the ASTRO-2" Standard (M48) into a more common photo-standard of SP54 mm ("SP"means this is not a metric thread). What are the threads and pitch of your 1.25" and 2" filters? Both thread sizes come with our proprietary pitch - which is not the same for the female and male threads. This is our own proprietary "emergency solution" for uniting a world were manufacturers all over the world copy from each other - to the point that there are almost a dozen different pitches in use for male and female threads. Traditionally US-companies used to do a UNF-based pitch and the rest of the world went for metric threads - but these do vary from 0.5 to 0.75. Auf einer Seite meines ungefassten Filters befindet sich eine Markierung in der Form eines Häkchens mit zwei Enden in die Richtung einer Fläche und mit der Spitze des Häkchens in die Richtung einer anderen Fläche. Soll dieser Filter so positioniert werden, dass die Spitze des Häkchens in die Richtung des einfallenden Lichtes zeigt? Ihre Vermutung ist korrekt. Bei allen ungefassten Filtern, bei denen die Richtung des Filters relevant ist, ist auf der Seite ein kleiner Pfeil angebracht, welcher die Einbaurichtung des Filters angibt. Der Pfeil muss Richtung Optik / Himmel zeigen (er soll so positioniert werden, dass die Spitze des Häkchens in die Richtung des einfallenden Lichtes zeigt). Alle gefassten Filter sind bereits in der richtigen Position, so dass die korrekte Filterseite Richtung Optik zeigt, wenn der Filter direkt in eine 2" oder 1¼" Steckhülse mit Filtergewinde eingebaut wird. Baader Schmalband- bzw. Linienfilter – warum? Englisch: Ungefasste Filter – welche Seite soll zum Teleskop zeigen? I just bought LRGB 36mm unmounted filters. 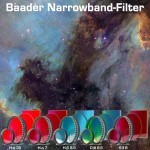 I have question: which side of filter should be placed towards telescope? Is it better way of distinguish than "more shiny surface towards telescope"? Always put the more reflective side towards the telescope side. To guide you we already put a small arrow on the filter rim, on those filters were the position matters. This arrow indicates which face of the filter should be directed towards the sky (telescope-sided). All cell-mounted filters are already oriented in a way that the most appropriate filter face is facing the sky when the filter would be mounted directly onto the front end of the nosepiece of a camera. If you mount your filter the other way, any reflected light would have a short way to the camera sensor, resulting in a higher risk of getting some kind of back-reflections inside the camera field. 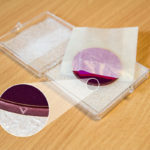 Many sensors have highly reflective areas near to the light sensitive area, also the area with the bonding contacts is sometimes highly reflective. 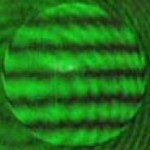 But: this is true only for instruments without optical elements near to the focal plane. If you have f.e. a coma corrector, field flattener, focal reducer, focal extender (to a lower degree due to concave surface), or in extreme cases a whole lens group for more complex field corrections a few centimeters in front of the filter it could be useful to flip the filter against the rule from above (thus having the arrow pointing away from the telescope). Cause in such cases the likelihood of reflections from the sensor could be lesser then fort- and back- reflections from such glass-surfaces. If in doubt, it helps to make some test images from a star field with bright stars, using the filter in both ways for comparison. Should you really have some reflections with both positions it can be more effective to add a spacer between filter and camera, eventually shifting the reflection out of the image field. With focal correctors having curved surfaces changing the filter-lens distance could help also.